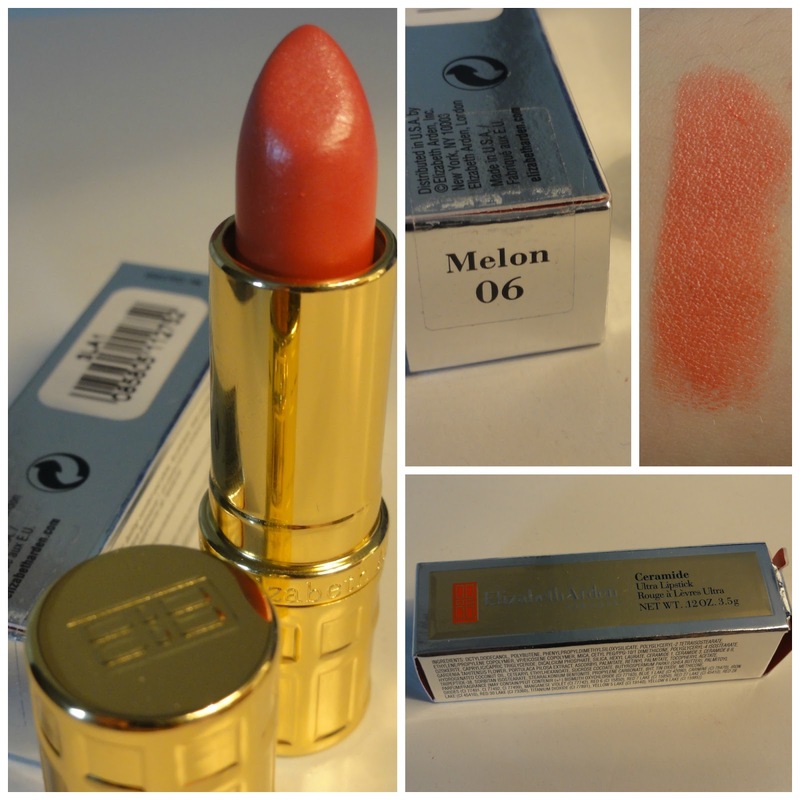 I was fortunate to choose this lipstick as one of the prizes after winning the Feel Unique 'It's all about me' competition a month or so back. If you don't own one of the ceramide ultra lipsticks from Elizabeth Arden, you're missing out big time! Melon is the most gorgeous Summer shade, it's not to vibrant for those that don't like statement shades but is opaque enough to give the lips a lovely swipe of colour and can certainly be built up for a more intense colour or blotted with a tissue for less, depending on how you wear your lipstick. Melon is orange toned with a mix of reds and a slight pinky tone to it - quite hard to explain but I'd say it was quite the coral shade. The lipstick it's self is so luxurious and so creamy, it's creamy to perfection and feels lovely on the lips, applying like a dream and dry's beautifully. Once dried it lasts so well, even after eating and drinking the lipstick remains on and only ever so slightly fades - though may become more subtle depending on how much you've applied and so on. The packaging matches the lipstick with a very luxurious feel, in a gorgeous gold bullet, a door/window engraving going on and the heaviness which adds the luxury feel even more to it. You can purchase this lipstick in different shades at Feel Unique here - £17.00 each.